Current.com is this great interactive web community and television station where YOU get to influence what you see on TV by voting on what stories you want to see. You can also create your own news stories, like I've done. Okay, but why do you need help? Since everything in Current.com is voted on, I need your help to vote this news story to the top of the Viewer Created Content leaderboard. If it reaches #1, it will be aired on Current TV, and Al Gore (who owns current.com and current TV) will cut me and my crew a check for $1,000 for the intellectual property rights, which we will invest into making even better news segments on issues that don't get covered by the nightly news. In order to vote, you need to have a profile on Current.com, but don't worry! 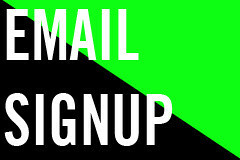 It's easy to sign up! You'll be sent an email to confirm your account, and after confirming you can vote on this story, and thousands of others, connect with other members of the community, recommend news stories, clip news headlines from the web (which if selected are read by Vicky, the ROBOT VOICE OF NEWS on current TV), or even record and make your own news segments yourself, like me and my crew have! After you sign up and vote yourself, please be sure to spread the word by sharing this note! A Series of Photos from the war with Southern Lebanon, showing Israeli children writing messages on bombs to be dropped on children their own age. What *IS* Single-Payer Universal Health Care? Ashley Saunders, formerly of the Ralph Nader for President 2008 campaign hits the nail on the head back over at Operation itch. Think you know Iran, America? Think again. It was WAY too easy to find silly pictures of Tom Vilsack.